Figian Joseph Guenette was born on February 16, 1877 in an unknown place overseas in Canada and died on August 27, 1919 somewhere in Michigan. Actual date of death is unknown. He lived to be about 42 years old. He and Ida adopted two girls Virginia Price and Helen but Helen died, it is unknown her birth and death dates. Their daughter Marion Louise is their natural daughter. 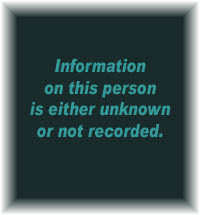 Recorded as dwelling #209, family #37: Figian Gwenneth (age 33), Ida (wife, age 26), and Margarette Haralay (sister-in-law, age 13). Figian and Ida have been married 4 years (it is the first marriage for both) and they have no children. Figian was born in Canada/French as were his parents. Ida and Margarette were born in Michigan, their father in Finland/Sweden and their mother in Germany. 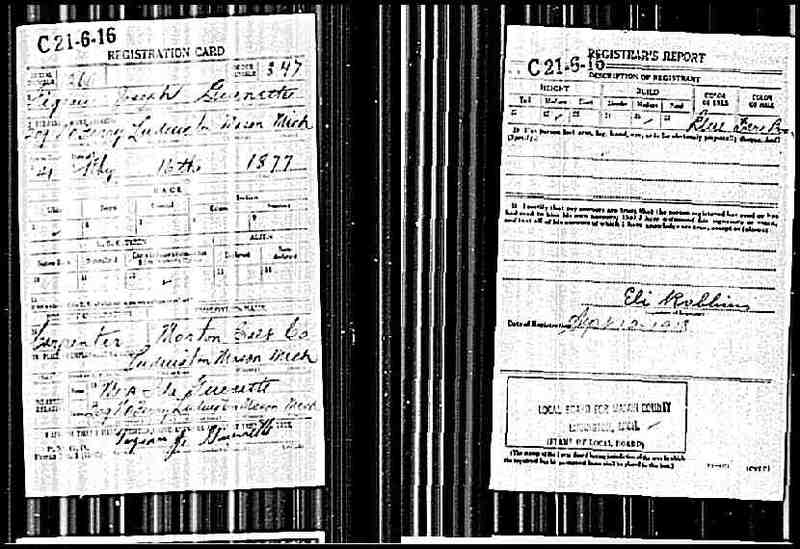 Figian Joseph Guenette, born 2/16/1877, completes a World War I Draft Registration Card on 9/12/1918. He is working as a carpenter for Morton Belt Company. Next of kin is Mrs. Ida Guenette. He is medium height and build with blue eyes and light brown hair. 2 1879 New State Capitol dedicated in Lansing. The structure cost $1,510,130. 13 1890 Between 1890 and 1900, Ford, Chrysler and General Motors were among many automotive companies founded in southeastern Michigan. Born on February 12, 1882 and died on November 26, 1955. Born in Grand Rapids, Michigan on February 6, 1908 and died in Sebring, Highlands County, Florida on March 18, 1999. She was 91 years old.